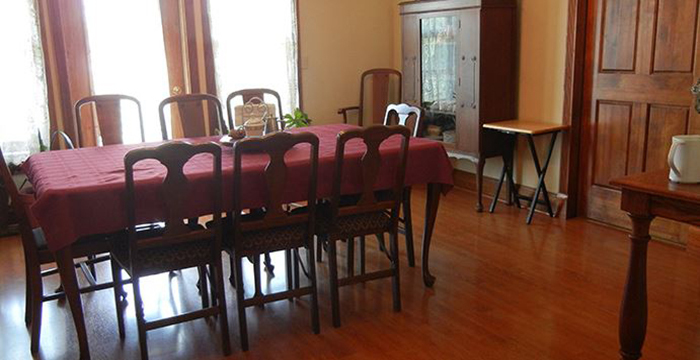 Designed after an early 1900 farmhouse and centrally located to Door County attractions. A family-type atmosphere with 6 handicapped accessible rooms.Accessibility features include: inclined entrance, roll under sinks in the bathrooms, choice of roll-in shower or shower/tub with built in seat. Children and pets welcome. 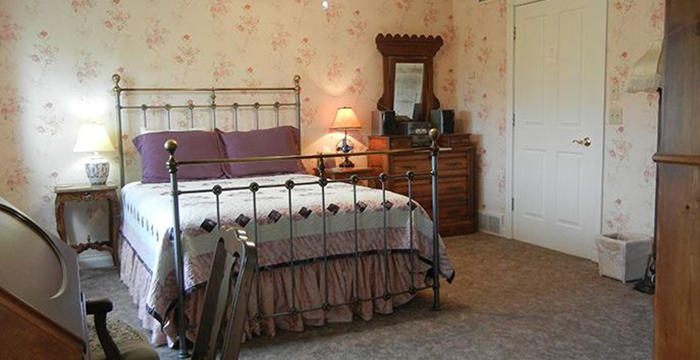 Each room has an antique fireplace and custom-made quilts. Open year round. Open daily except Dec 24 & 25. 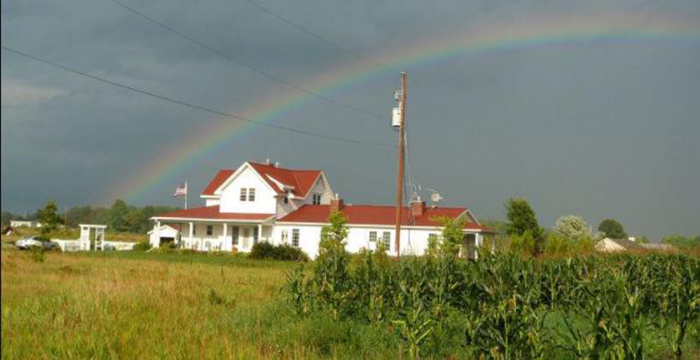 Feathered Star is a Bed & Breakfast located in northern WI and is one of the best Egg Harbor hotels WI has to offer. 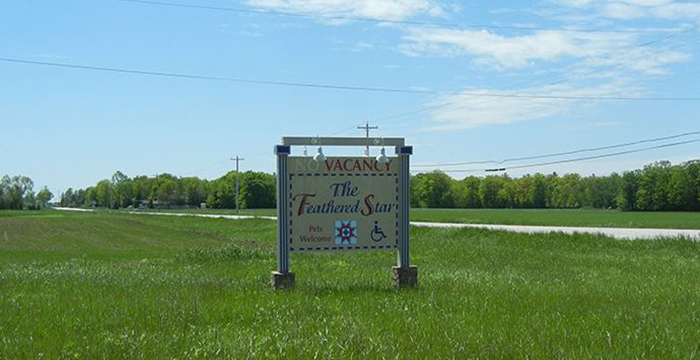 The name “Feathered Star Bed and Breakfast” was inspired by the historic quilt design of “feathering” wherein zig-zag edges are placed in the pattern of the star. This method was used by quilters who sought to demonstrate their expertise. 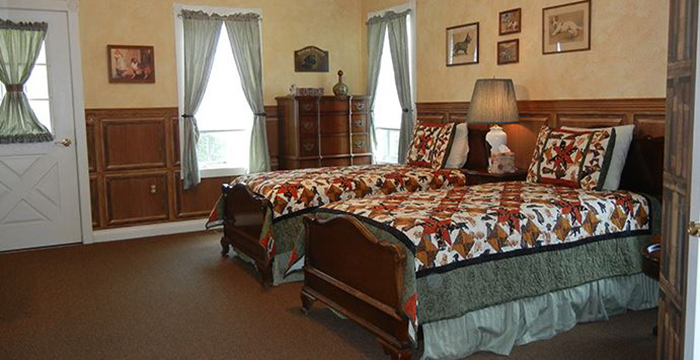 Each room in the bed and breakfast has a unique motif which showcases similar quilting patterns and techniques as well as fine antiques that add an unmatched sense of Victorian style. Some of the featured quilting themes include: Americana, Doggy Haven, Garden Trellises, Nautical, Catnip, Victorian Times. Feathered Star Bed and Breakfast is located in what travel magazines everywhere have deemed the “best small town” in Wisconsin. If you are looking for a relaxing vacation at a resort which is pet-friendly and wheelchair accessible there is no place better. Of all the available places to stay in Door County Wisconsin this bed and breakfast is situated on 3 acres of private property with spacious guest amenities that afford a comfortable stay. You can let your pets roam freely about the property with the owner’s pets or rent a bicycle to pedal into town where you can visit a local farm and take home fresh snacks for the day. Each room is fully equipped with electronic equipment and air conditioning so that your stay is relaxing. Whether on a family trip or a romantic weekend this bed and breakfast is top notch!